Vladivostok is the end of the line (or beginning if you travel east to west) for the Trans-Siberian Railroad. Congratulations, you made it all 5,772 miles!! This surprisingly modern port city on the Pacific is the prefect end to such an epic journey. Be sure to check out Svetlanskaya Street, Zolotoy Bridge and Admiralsky Skver Square. I lived there 3 years and had 2 businesses. It is interesting in a primitive way but not 3rd world. Nothing really beautiful but it is nice to have the ocean all around. Not much for a tourist to do but certainly worth exploring if you are on the Trans Siberian Railway and begin or end your trip there. Spent a week here with Elder Kenneth Long preparing for a Mission Work under the authority of TLBC in Tacoma, WA. We passed out Gospel Literature in Russian at the train station where the Siberian Express begins and travels across Russia to Moscow. 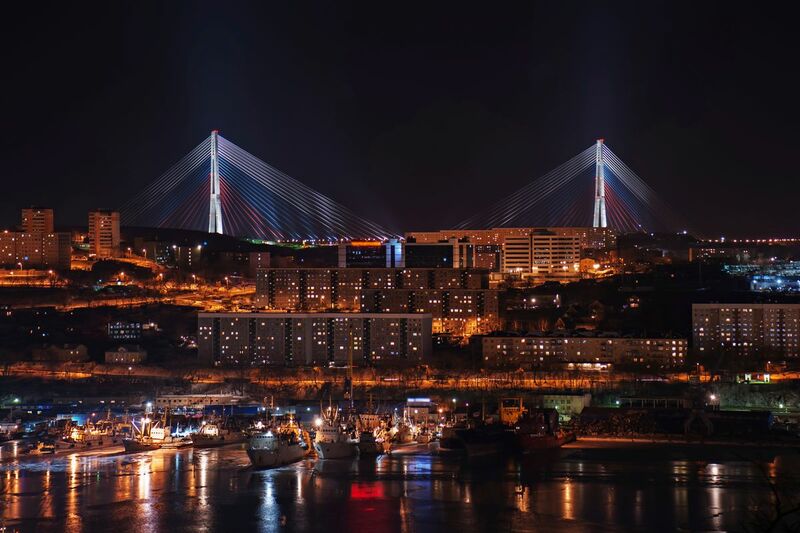 Beautiful port city on the Pacific side of Russia, Vladivostok has only just opened to the outside world in 1992 after being closed due to its status as an important strategic military post of the Russian Navy. the city today is vibrant, welcoming, and full of fascinating history. A Safe City that suitable for single female traveller. However most of the local people cannot speak good English. I suggest to make good research on basic Russian vocabulary before hand. Astonishing view and full of USSR history. 블라디도스톡에 가신다면 무조건 바냐를 갔다오세요!! 우흐뜨블린, 파이브어클락 등도 참 맛이, 주마,고려관,수프라등 싸고 맛있는 음식점도 많아요!! 바냐에서 피로푸시고 많이 드세요!!! !